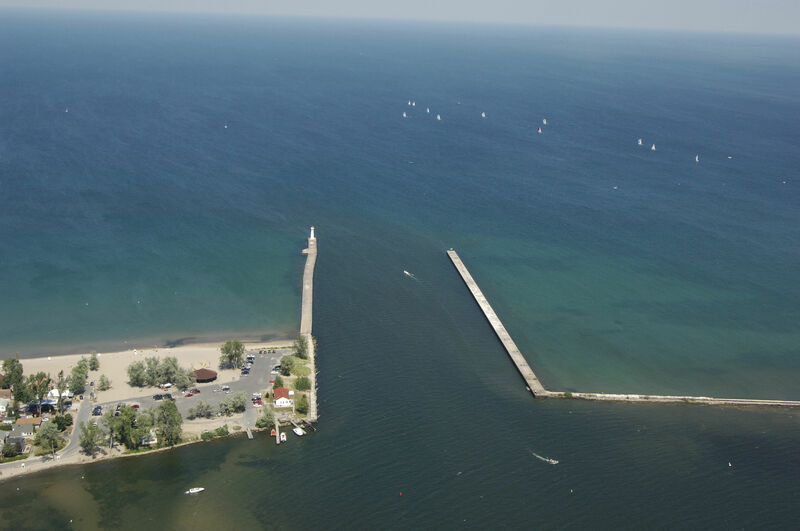 Sodus Bay is located off Lake Ontario in the town of Sodus Point about 14 miles west of Little Sodus Bay and 26 miles southwest of Oswego. Sodus Bay has one of the deepest and safest inlets on Lake Ontario. The well-protected channel has at least nine-foot depths, and the entire are is protected by a two-mile-long natural and man-made sea barrier. 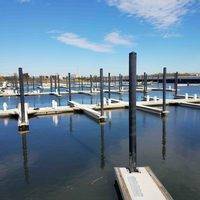 Inside the bay are five marinas and most of them have repair facilities and transient slips available (fuel, too). Most of these locations are situated within a mile of the inlet, which is convenient for quick stopovers. 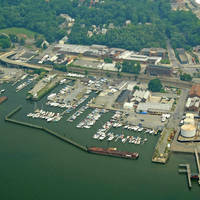 Sodus Bay is easy to enter in most all weather conditions and has a deep, wide inlet channel. From Lake Ontario, set a course for the Sodus Outer Light (ISO white every six seconds) on the west inlet jetty. Just past the Sodus Outer Light is flashing green 1 on the shorter east inlet jetty. 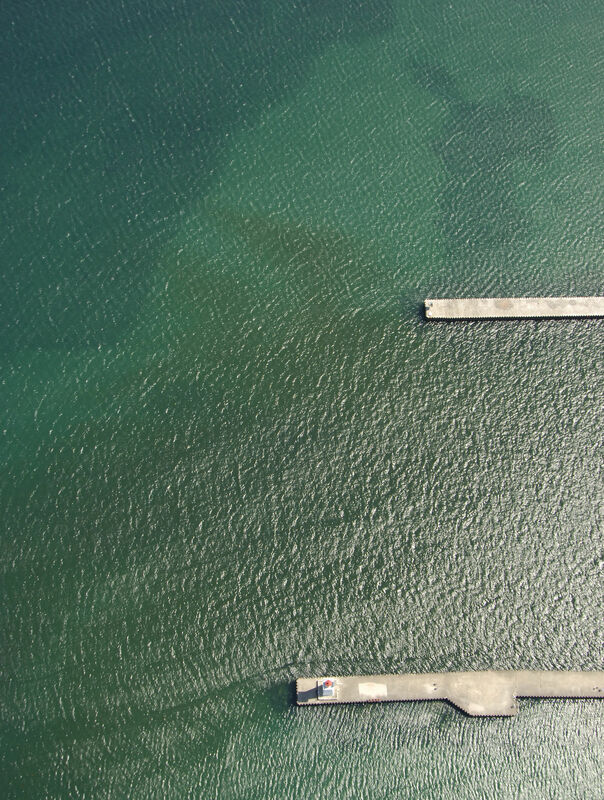 Once you have cleared the outer breakwaters, proceed south through the nine-foot deep channel until you reach flashing red buoy 4 and flashing green buoy 5, just inside the inlet. These lights are followed by flashing red 6, that marks the beginning of the channel bend to accommodate the eastward push of Sandy Point. 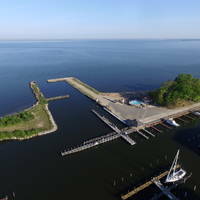 The first marina is located to starboard on entry behind Sodus Point. 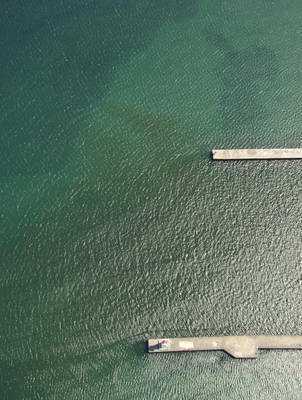 The marina has haul-outs, repairs and transient facilities. 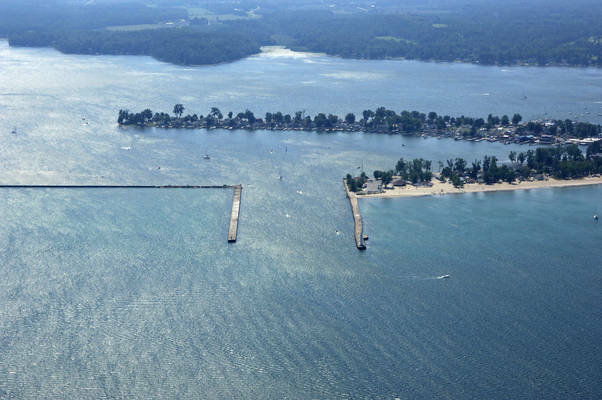 The rest of the facilities are scattered behind Sandy Point in Sodus Bay to the southwest. Most of these facilities have transient facilities, and many of them have repairs and haul-out available, too. Depths in Sodus Bay are consistent throughout at about 15 to 30 feet. There are plenty of good spots to anchor. No reviews yet! Be the first to write a review of Sodus Bay Inlet.